Air Canada today announced the introduction of non-stop flights between Toronto and Seoul, South Korea as part of its ongoing expansion of international services. The new year-round non-stop flights between Toronto’s Pearson International Airport and Seoul’s Incheon International Airport will begin June 17, 2016 with daily service. 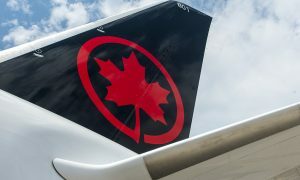 “The introduction of non-stop flights between our main Toronto hub and Seoul further strengthens Air Canada’s presence in the growing Asian market,” said Benjamin Smith, President, Passenger Airlines at Air Canada. “This new route will provide some of the fastest travel times for customers travelling to and from South Korea and Eastern Canada, the U.S. Northeast and South America via our main hub in Toronto. Together with our Vancouver-Seoul service, Air Canada will operate the most flights of any airline between Canada and South Korea with up to 14 flights per week. “Our Toronto-Seoul non-stop flights will be operated with Boeing 787-8 Dreamliner aircraft featuring our newly designed international product offering customers a choice of three cabins of service and industry-leading amenities. As we renew and grow our international fleet to include 21 Boeing 787 aircraft by 2016 of the 37 on order, we are ramping up conversion of existing routes to Dreamliner service from Toronto to Asia, Europe and South America in order to provide our customers with the comfort and benefits of the most technologically advanced commercial aircraft flying today,” said Mr. Smith. In addition to new Toronto-Delhi and Dubai routes to be operated with Boeing 787-9 aircraft beginning in November 2015, Toronto-Istanbul will be converted to Boeing Dreamliner service effective May 2016, joining Toronto-Copenhagen, Zurich, Tel Aviv, Tokyo-Narita (summer) and select Toronto and Vancouver flights to London-Heathrow as well as Vancouver-Tokyo-Narita, Seoul and Brisbane. 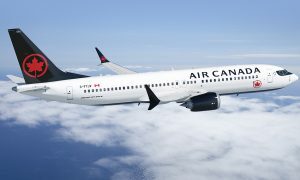 Air Canada will also begin operating its international flights from Calgary to Tokyo-Narita, London-Heathrow and Frankfurt with Boeing 787 aircraft beginning in 2016. 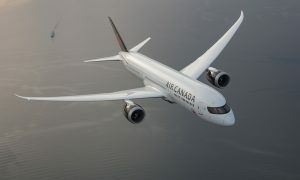 By Summer 2016, the following routes operated with Boeing 777-300ER and 777-200LR aircraft will also feature Air Canada’s new international product standard unveiled with the Boeing Dreamliner as the airline converts all 25 of its Boeing 777 aircraft to offer a consistent international product and a choice of Business Class, Premium Economy and Economy cabins: Toronto-London-Heathrow, Frankfurt, Paris, Tokyo-Haneda, Beijing, Shanghai, Hong Kong, and Vancouver-Beijing, Shanghai and Sydney, Australia. Toronto-Seoul flights will be operated with Boeing 787-8 Dreamliner aircraft offering a choice of 20 International Business Class lie-flat seat suites, 21 Premium Economy and 210 Economy Class seats.